I had been eating potatoes long before I discovered Dr. McDougall and decided to follow his free program outlining the basics of The Starch Solution. At first, I was skeptical and had a hard time believing it could be this simple to feel better, maintain a healthy weight, better manage my chronic conditions, and even drastically reduce my need for prescription medication. Though it worked for me in more ways than I could ever imagine. Family, friends, and my medical team watched me struggle through a health crisis that nearly took my life. Today I feel amazing and couldn’t be more pleased with my quality of life. Mashed potatoes, baked potatoes, fries, roasted yams, hash browns, and even cold boiled potatoes are a few of my favorite ways to eat this delightful tuber. I could have saved myself a lot of money and grief over the years had I realized that a humble, affordable potato is a nutritional powerhouse. That is, if it is prepared properly and eaten without oil. Read through my wellness blog, my book Butternut to Bionic, and the Nourish section of my website and you’ll notice that this starchy food takes center stage in my life. Coworkers rarely see me without a potato at break or at meal time. 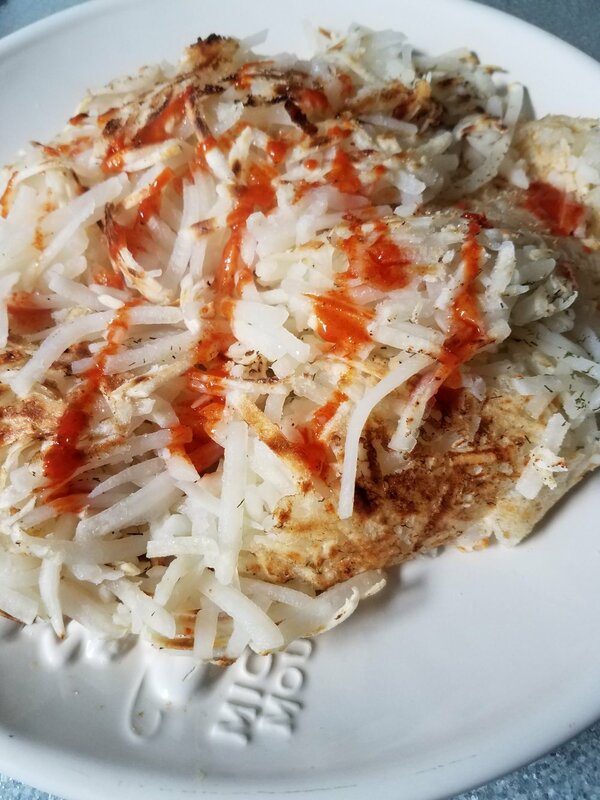 Below I share photos of my favorite potato based meals (you’ll see other favorite starches like corn/rice/oats/grains etc on my website) plus a video of Dr. John McDougall. He is the expert and his work has profoundly changed the quality of my life. I am forever grateful! I even had the privilege of meeting him in person last year at a McDougall Foundation 3-day intensive in Santa Rosa, California. Check out this video to better understand how a simple change in your meal plan could improve your life.